I've kept this skirt longer than I planned to, as someone once said they liked it on me. Oddly I've never liked it really, it's just become a really easy quick outfit choice. But after today I'll give it back to a charity shop (I've already bought a new skirt to replace it!). I'm still working on taxes and accounting, so I haven't even cared that it's super creased. 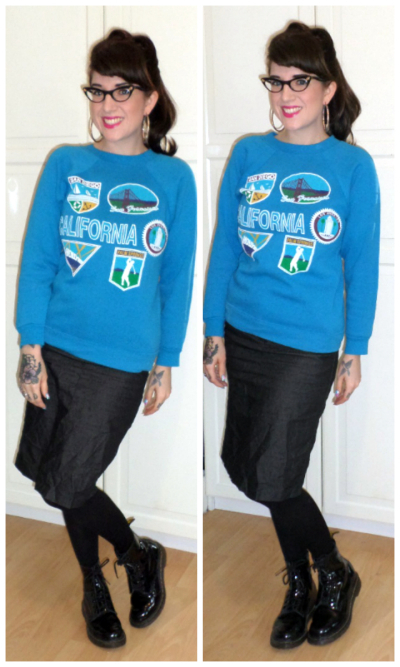 I teamed it with a vintage California sweater.